I first “met” this family when I began planning a Habitat for Humanity Global Village trip to Kyrgyzstan. Yes, that’s right, Kyrgyzstan. I had heard good things about this place, it was a “unique” destination (to say the least) and I am always up for a challenge so I thought – let’s go! 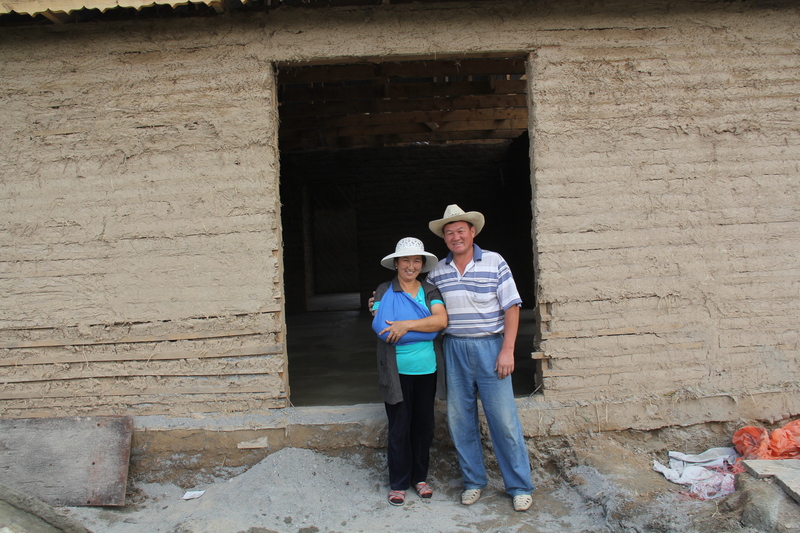 Jolboldu and Ryskiul desired a safer place for their children to grow up and applied for a loan from Habitat for Humanity Kyrgyzstan under their New House Construction Program. 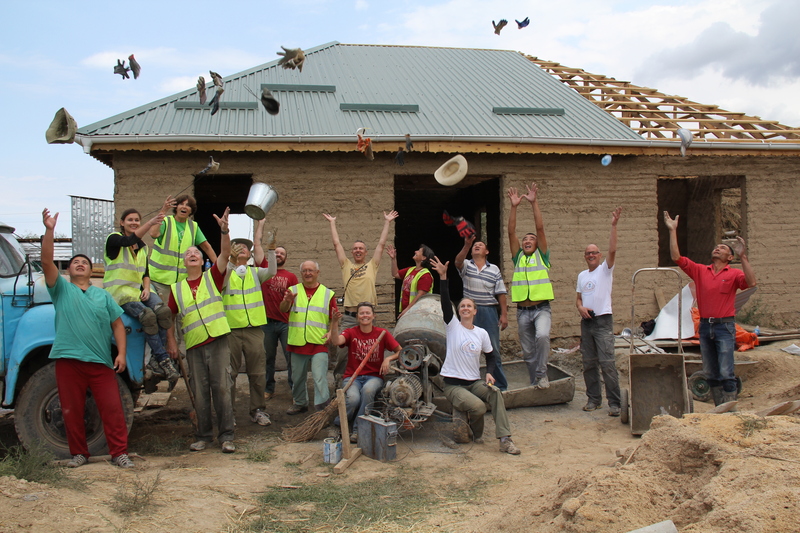 When I arrived in Kyrgyzstan in August 2014 with 10 other volunteers, we were the 4th Global Village team to work on this home. We spent two weeks doing what we could to bring their dream of owning a safe home closer to reality. The home is different in many ways than others I worked on during previous Global Village trips. For one thing – there was wood. 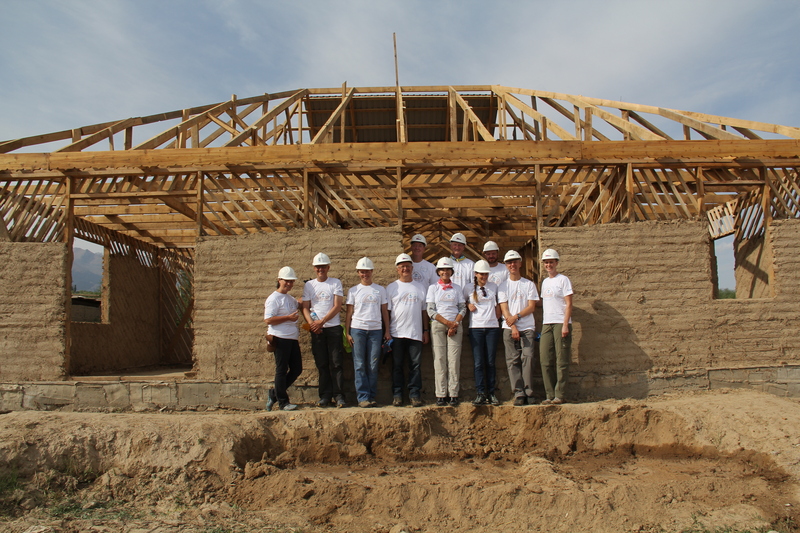 🙂 Kyrgyzstan is in an earthquake zone and housing recipients are trained in building techniques designed to withstand the forces of nature. 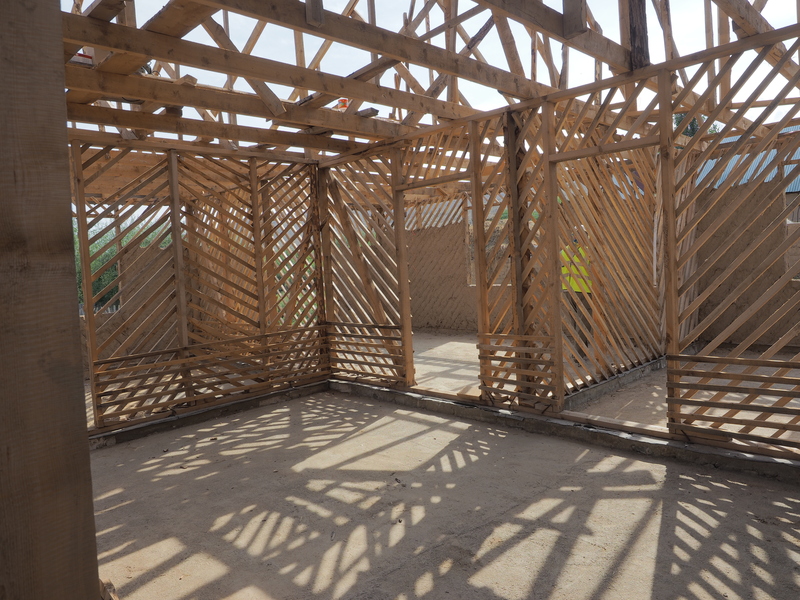 Walls in Habitat homes in Barskoon are constructed by affixing wood strapping to each side of the studs and then filling the ~6 inch gap in between with a mud-straw mixture (a different technique is used in the urban areas of the country’s capital, Bishkek – a subject for a future post). After about 2 days, we finished the exterior walls and thought we were really getting ahead! But not so fast…the interior walls needed stuffing next. Oh my! We were undaunted…and very safe. Don’t worry Terry, there’s only about a 10 foot drop under your round-barrel scaffolding. Jolboldu won’t let you fall! 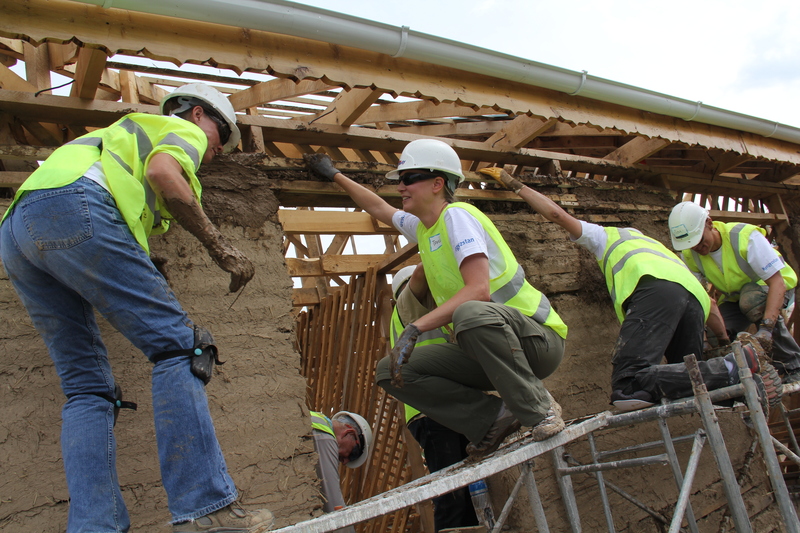 We also recruited extra help from every extended family member who stopped by the worksite. Well, it was more like we couldn’t keep them away, they were so excited. 🙂 How does she stay so clean when I have mud in my hair, in my mouth, even on the inside of my glasses…??? By the time Pat and Julie placed the final mud ball, we all felt like we had accomplished so much! And Ryskiul, who was sidelined with a broken arm while we were working, was all smiles. 🙂 🙂 I mean who wouldn’t be – the walls were complete, the roof was going on and check out the view from the bedroom! We still had a few work days left and spent them installing the concrete floor. If you’ve never participated in a bucket brigade, you’re missing out. We passed buckets of sand, leveled the base layer, laid insulating foam and a waterproof barrier, then passed what must have been thousands of buckets of concrete. OK. Maybe just a few hundred, but it really did seem like a lot… The floor was finally leveled and – wow, it’s starting to look like a home! How amazing! 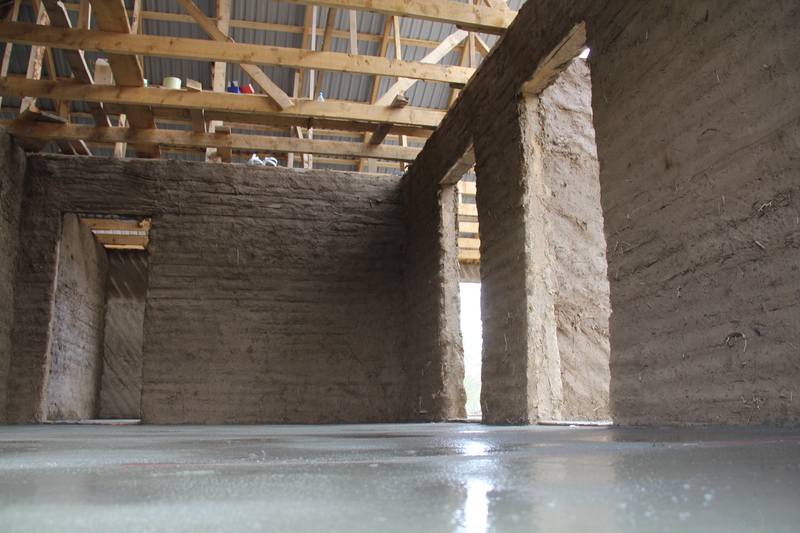 Looking at the final pictures, I would never imagine that the walls are filled with mud! Love those stories. Thanks for sharing.